Please read these T&C of our website, programs, products and services carefully. We reserve the right to change these T&C from time to time, and by using any of our Programs, Products and Services you are agreeing to the T&C as they appear, whether or not you have read them. If at any time you do not agree with these terms, please do not use our Programs, Products and Services. Our Programs, Products and Services are owned and operated by Kelly Wellness Consulting Inc. and its registered division, Workplace Wellness Centre of Excellence (referenced throughout this document as either KWC Inc. , Workplace Wellness COE, WWCOE, “Company”, “we”, or “us”.) The term “you” refers to the user or viewer of our website. All of our Programs, Products and Services are intended solely for Workplace Wellness COE clients, Workplace Wellness COE Certified Workplace Wellness Ambassadors, Workplace Wellness COE Associates, Workplace Wellness COE affiliates, joint venture partners or otherwise approved by Workplace Wellness Centre of Excellence and eighteen (18) years of age or older. Any registration by, use of or access to any Program, Product or Service or our Website by anyone under 18 is unauthorized, unlicensed and in violation of these T&C. By accessing or using our Programs, Products, or Services or our Website, you represent and warrant that you are 18 years or older and that you agree to and to abide by all of our T&C. We try to ensure that our Program, Product and Service availability is uninterrupted and that our Website, private Facebook group page, e-mail communications, and Program materials, tele-classes and/or audio or video recordings, as applicable, will be error-free. However, we cannot guarantee that your access will not be suspended or restricted from time to time, including to allow for repairs, maintenance or the introduction of new services, although, of course, we will try to limit the frequency and duration of any suspension or restriction. Neither we nor any third parties provide any warranty or guarantee as to the accuracy, timeliness, performance, completeness or suitability of the information and materials found or offered on this Website for any particular purpose. Every effort has been made to present you with the most accurate, up-to-date information, but because the nature of scientific research, health and wellness best practices, and technology is constantly evolving, we cannot be held responsible or accountable for the accuracy of our content. You acknowledge that such information and materials may contain inaccuracies or errors and we are not liable for any such inaccuracies or errors to the fullest extent permitted by law. The content in our Programs, Products and Services is solely owned by or licensed to us, unless otherwise indicated. This material includes, but is not limited to, the design, layout, look, appearance, graphics, downloadable information products, e-mails, .pdfs, videos, audios and our program or service materials. Reproduction is prohibited other than in accordance with the copyright notice, which forms part of these T&C. If you purchase or access any of our materials through our Programs, Products or Services, you will be considered our Licensee. For the avoidance of doubt, all content obtained through us is our property, and you are granted a revocable, non-transferable license for personal use and for limited commercial use pursuant to these T&C, limited to you only. Brandable/Customizable/Reproducible handouts: will have the following italicized footer designation below that may be removed for your own business use. Brandable file permissions will also be indicated in electronic file name as such. Please refer to Licensing Agreement for full terms and conditions. “Reproducible Only” Handouts: You are permitted to reproduce but not modify handouts with the footer designation below. The italicized statement below must be represented in the document footer when used with clients or general business purposes. Reproducible file permissions will also be indicated in electronic file name as such. ©Kelly Wellness Consulting Inc. Licensed for specific use only. or ©Workplace Wellness Centre of Excellence Licensed for specific use only. or ©WWCOE Licensed for specific use only. You are not permitted to reprint or republish modules or other materials including handouts for resale or mass reproduction purposes. You are permitted to reuse the Brandable/Customizable/Reproducible materials, add your own original content, edit it or change it as you wish to reflect your brand, provided that it is in compliance with our Licensing Agreement and the terms of this T&C. However, you may not reuse or republish the royalty-free images provided in Program materials for any other purpose or reason, or in any other context, other than how this Program is intended to be used. However, you may not use our Programs, Products or Services, the materials available on or through them, or this Website in a manner that constitutes an infringement of our rights or in a manner that has not been specifically authorized by us. Information You Are Prohibited from Sharing with Others. You understand and acknowledge that the information obtained on or through our Program, Product or Service has been created, developed or obtained by us through the investment of significant time, effort and expense, and that this information is a valuable, special and unique asset of ours which needs to be protected from improper and unauthorized use. When you enroll in or purchase this Program, Product or Service, including any of our Programs, you expressly agree that you will not steal our content or share it with any other person without our express written permission. You may not duplicate, share, trade, or sell any information obtained in or through our Programs with any other person including but not limited to Certified Health Coach, Certified Wellness Educator, Holistic Practitioner, or any Other Health or Wellness Professional for their personal, commercial or business use, whether it was known to you or not at the time that you shared the information that their intention was to use the Program materials in their own Health Coaching/Consulting business or any other employment practice. This is considered theft and stealing, and we retain the right to prosecute theft to the full extent of the law.Unauthorized use of our Programs, Products or Services or this Website may give rise to a claim for damages and/or be a criminal offence. Unless otherwise explicitly authorized in these T&C, you may not modify, copy, reproduce, republish, upload, post, transmit, translate, sell, create derivative works, exploit, or distribute in any manner or medium (including by email or other electronic means) for commercial use, to any other any other person including but not limited to health coach, wellness educator, holistic practitioner, or any other health or wellness professional in a way that earns them money any material purchased through this Program, Product or Service or obtained including but not limited to, our Website, a password-protected Site page, private Facebook group page, audio or video recording, e-mail communications, or teleseminar calls. You may not use any Program material in any way in a book or e-book that is self-published or published through a publishing company and/or online through kindle, amazon.com, nook, etc., regardless of whether you add your own unique material to it or not.By downloading, printing, or otherwise using the material from this Program for your own employment, coaching or consulting practice in no way gives you any copyright or ownership rights of the material contained in the downloadable, done-for-you Program.By downloading, printing, or otherwise using any material from this Program, Product or Service for any use, you in no way assume any intellectual property ownership rights of that material.All rights not expressly granted in these terms or any express written license, are reserved by us. By posting or submitting any material (including, without limitation, comments, blog entries, photos and videos) to us through the Program, Product or Service, our Website, or private Facebook group page, you are representing: (i) that you are the owner of the material, or are making your posting or submission with the express consent of the owner of the material; and (ii) that you are eighteen (18) years of age or older. In addition, when you submit or post any material in any way affiliated with our Program, Product, or Service, you are granting us, and anyone authorized by us, a royalty-free, perpetual, irrevocable, non-exclusive, unrestricted, worldwide license to use, copy, modify, transmit, sell, exploit, create derivative works from, distribute, and/or publicly perform or display such material, in whole or in part, in any manner or medium, now known or hereafter developed, for any purpose. In particular, this includes WWAP group certification projects developed by you through the Program which will become the property of Workplace Wellness COE but you may use/customize and reproduce them for client use provided it contains the aforementioned footer designation. They may not be customized or reproduced for resale or mass production. The foregoing grant includes Workplace Wellness COE’s right to make full of and benefit from any proprietary rights in such posting of submission, including, but not limited to, your right under copyright, trademark, service mark, patent, or any other intellectual property laws, under any relevant jurisdiction. By participating in our Programs, Products and Services, you consent to photographs, videos, and/or audio recordings that may be made that may contain you, your voice and/or your likeness. In our sole discretion, we reserve the right to use these photographs, videos, and or/audio recordings and/or any other materials submitted by you to us in connection with your participation in our Program, Product or Service in our current or future Programs, Products or Services, and/or our marketing or promotional efforts, without compensation to you at any time, now or in the future. Should we choose to use material containing you, your voice, and/or audio recordings, your name will not be disclosed outside of your current Program participation without your advance permission. Also, in connection with the exercise of such rights, you grant us, and anyone authorized by us, the right to identify you as the author of any of your postings or submissions by name or screen name on social media. You acknowledge that we have the right but not the obligation to use and display your social media postings, and that we may elect to cease the use and display of your postings at any time. No social media postings will be shared outside of Workplace Wellness COE social media groups without your advance permission. As a Licensee, you agree that you are using your own judgment in using the information provided on and through this Program, Product or Service, which is done at your own risk. We explicitly state that the information provided to you in our Programs, Products, or Services are not diagnosing or treating a physical or mental health problem or disease, or prescribing medication, or other treatment in any way whatsoever. We are not, and we are not holding ourselves out as, a doctor, medical health practitioner, psychologist, therapist, licensed nutritionist, registered dietician, financial consultant, or religious clergy member, and we make no claims in this regard. Nothing contained in the Program, Product or Service is intended to be a substitute for the medical diagnosis or treatment that can be provided by your and your clients’ physician, mental health provider, or another qualified health care professional. You and your clients should always should seek the advice of your physician, mental health provider, or another qualified health care provider regarding any specific medical condition. You acknowledge that we have not and do not make any representations as to the physical, mental, emotional, and spiritual or health benefits, future income, expenses, sales volume or potential profitability or loss of any kind that may be derived as a result of your participation in this Program, Product or Service, for you or for any of your clients. We cannot and do not guarantee that you or your clients will attain a particular result, and you accept and understand that results differ for each individual. We also expressly disclaim responsibility in any way for the choices, actions, results, use or non-use of the information provided or obtained through any of our Programs, Products or Services by you or by your clients. We are not responsible for, or liable for, ensuring that our Programs, Products, or Services are compliant with the laws of any city, county, state, province, or country. There are several laws and regulations that may impact the design of your wellness programs. You alone are responsible for assuring that any workplace wellness program and/or service offering that you make to your clients meet and are compliant with all laws and regulations. In the United States, these laws may include, but are not limited to, the Genetic Information Non-Discrimination Act (GINA), Health Insurance Portability and Accountability Act (HIPPA), Americans with Disabilities Act (ADA), and the Equal Employment Opportunity Commission (EEOC), among others. It is strongly recommended that you research your relevant city, state, county, province and country laws and regulations, as applicable, and speak with your own legal counsel prior to marketing any of your own wellness programs or any of our Programs, Products or Services to any of your clients as the law is subject to change at any time. THE INFORMATION IN THE PROGRAMS, PRODUCTS AND SERVICES OFFERED ON OR THROUGH OUR WEBSITE AND ANY THIRD-PARTY WEBSITES ARE PROVIDED “AS IS” AND WITHOUT WARRANTIES OF ANY KIND EITHER EXPRESS OR IMPLIED. WE MAKE NO WARRANTY OF ANY KIND, IMPLIED OR EXPRESS, AS TO THE ACCURACY, COMPLETENESS OR APPROPRIATENESS OF OUR PROGRAM, PRODUCT OR SERVICE FOR ANY PURPOSE. To the fullest extent permitted by law, we expressly exclude any liability for any direct, indirect or consequential loss or damage incurred by you or your clients in connection with this Program, Product or Service, including by your use or inability to use any information obtained on or through the Program, Product or Service, any websites linked thereto, and/or any material posted on the Website, private Facebook group page, or in any other way through the Program, Product or Service by us or by others, including without limitation any liability for any accidents, delays, injuries, loss, damage, death, lost profits, personal or business interruptions, misapplication of information, physical or mental disease, condition or issue, physical, mental, emotional, or spiritual injury or harm, loss of income or revenue, loss of business, loss of profits or contracts, anticipated savings, loss of data, loss of goodwill, wasted time and for any other loss or damage of any kind, however and whether caused by negligence, breach of contract, or otherwise, even if foreseeable. You agree at all times to defend, indemnify and hold harmless the Company, our shareholders, directors, officers, employees, affiliates, successors, transferees, assignees or licensees and their respective parent and subsidiary companies, agents, associates, officers, directors, shareholders and employees of each from and against accidents, delays, injuries, harm, loss, damage, death, lost profits, personal or business interruptions, misapplication of information, physical or mental disease, condition or issue and any and all claims, causes of action, damages, liabilities, costs and expenses, including legal fees and expenses, arising out of or related to our Programs, Products or Services as experienced by you, anyone affiliated in any way with your business, and/or any of your clients, and/or your breach of any obligation, warranty, representation or covenant set forth in these T&C. To reproduce, duplicate, copy, alter or resell any of our content in contravention with these T&C or any other agreement with us. In the event that payment is not received by the date due, whether paying in full or by installment, you will have forty-eight (48) hours to make the payment otherwise the Program, Product or Service will not continue. If you fail to make payment in a timely manner in accordance with these Terms and Conditions or voluntarily decide to withdraw from our Program, Product or Service at any time or for any reason whatsoever, you still will remain fully responsible for the full cost of the Program, Product and/or Service after the forty-eight (48) hour window to seek a refund according to the Refund Policy below. You agree to be financially responsible for all purchases made by you. You agree to purchase and use the Program, Product or Service for legitimate, personal or limited commercial purposes only. You also agree not to make any purchases for speculative, false or fraudulent purposes or for the purpose of anticipating demand for a particular product or service. Your satisfaction with our Programs, Products or Service is important to us. If this Program, Product or Service is not the right fit for you, we will gladly refund you 100% of your purchase price within forty-eight (48) hours of your purchase up to two days prior to program commencement. To gain this refund, you must submit an e-mail to info@workplacewellnesscoe.com explaining why you don’t want to proceed with the program, at which point we will issue a refund of the purchase price. If you are issued a refund, you must immediately cease using any of our Program, Product or Service materials upon receipt of your refund. You must remove them, or references to them, from your website, sales pages, e-mail communications, social media, and any other method of communication within twenty-four hours (24) hours of receiving your refund. You may not continue to use or sell any portion of the Program, Product or Service in any way following your refund or you will be in violation of these Terms and Conditions. Following the 48-hour post-registration period outlined above, refunds of up to 75 % of the value of payments for Single Payments, Payment Plans, and deposits will be considered up to the dates below for unexpected/significant changes to personal circumstances and where validated by supporting documentation (see section below). Otherwise, refund requests after the dates below and prior to program commencement, will be reviewed and issued on a case-by-case basis according to the criteria outlined in the Post-Program Commencement section below. May 31 for registrants scheduled to commence Level 1 or FOHE programs in the fall. December 31 for registrants scheduled to commence FOHE programs in the spring. Once a program has commenced, pro-rated refunds will be considered on a case-by-case basis. They will be issued only for medical emergencies or health-related/life-impacting incidents that inhibit a person’s ability to participate in or fully complete the current or remaining paid for program(s). Alternatively, participants incurring one of the above situations may, with approval, be allowed to defer completion of their program(s) to a future session based on space availability. Written requests for refunds or program completion delays will be reviewed on a case-by-case basis. All requests are to be substantiated via medical or other requested documentation. Registrants of Option 4 may pay a deposit fee of $290 USD or $304 CAD* to secure a placement in the EWLP Internship track for upcoming programs as per terms below. Option 4 deposits are to be paid via a requested KWC Inc. issued PayPal invoice. Until April 30 for commencement of Level 1 or FOHE programs in the fall semester. Balance for Single Payment options will be due by June 1. Initial payments for modified Payment Plans (i.e. 18 payments) will commence June 1. Until November 30 for commencement of FOHE Programs in the spring semester. Balance for Single Payment options will be due by January 1. Initial payments for Payment Plans (i.e. 18 payments) will commence January 1. Registration after the April 30 or November 30 deposit deadlines will only be available via the payment links in the WWLC registration page. The Terms and Conditions set forth herein, and all copyright, trademark, and intellectual property rights remain indefinitely, even after a refund is provided. In the event of cancellation or termination, all remaining balances owed shall be immediately due, and you are no longer authorized to access the Program, Product, Service or our Website, private Facebook group page, e-mail or any or other method of communications affected by such cancellation or termination. The restrictions imposed on you with respect to material received for the Program, Product or Service and all of the disclaimers and limitations of liabilities set forth in these T&C, shall survive such termination of your access and apply in full force. It is hoped that should we ever have any differences, we could be able to work them out amiably through a phone conversation or e-mail correspondence. However, should a dispute ever arise between us, we agree now that we will submit to binding arbitration before a single arbitrator, selected jointly, in accordance with the National Arbitration Rules of Canada. Any judgment on an arbitrator’s award, if made, is binding and may be entered into any court having the appropriate jurisdiction. Prior to seeking arbitration, you must submit your complaint to me via e-mail. You understand and agree now that the only remedy that can be awarded to you through arbitration is full refund of your Payment made to date. No award of consequential or of any other damages may be granted to you. By signing this Agreement you are agreeing to a modification of the statute of limitations such that any arbitration must be commenced within one (1) year of the date of the act, omission, or other conduct complained of as submitted by you in e-mail, or shall otherwise be forfeited forever. You also agree that should arbitration take place, it will be held in the city of St. Albert in the province of Alberta, Canada, and the prevailing party shall be entitled to all reasonable attorney’s fees and costs necessary to enforce the Agreement. If you have any questions about any term of these T&C, please contact us info@workplacewellnesscoe.com. Thank you. Workplace Wellness Centre of Excellence understands that your privacy is important to you and that you care about how your information is used and shared online. We respect and value the privacy of everyone who visits Our Site and will only collect and use information in ways that are useful to you and in a manner consistent with your rights and Our obligations under the law. means Workplace Wellness Centre of Excellence [an incorporated company registered in Canada] whose registered/main trade address is: PO Box 80505 Bellerose PO, St. Albert, Alberta, Canada, T8N 7C3. 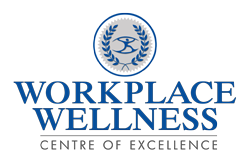 Our Site, www.workplacewellnesscoe.com is owned/operated by Workplace Wellness Centre of Excellence, a limited company registered in Canada. Supplying you with emails (e.g. workplace wellness newsletters, publications, tip sheets, invites to our programs and online communities, etc.) that you have subscribed to. You may opt-out at any time by unsubscribing to our emails in the bottom of our email as provided through Aweber, our email provider. Analysing your use of Our Site [and gathering feedback] to enable Us to continually improve Our Site and your user experience. In some cases, the collection of data may be a statutory or contractual requirement, and We will be limited in the products, programs, and services We can provide you without your consent for Us to be able to use such data. With your permission and/or where permitted by law, We may also use your data for marketing purposes which may include contacting you by email, telephone or text message AND/OR post with information, news and offers on Our products, programs and services. We will not, however, send you any unsolicited marketing or spam and will take all reasonable steps to ensure that We fully protect your rights and comply with Our obligations under the GDPR and the Privacy and Electronic Communications (EC Directive) Regulations 2003, as amended in 2004, 2011 and 2015. Data security is of great importance to Us, and to protect your data We have put in place where possible, physical, electronic and managerial procedures to safeguard and secure data collected through Our Site. We may contract with third parties to supply products, programs and services to you on Our behalf. These may include payment processing, delivery of goods, search engine facilities, advertising and marketing. In some cases, the third parties may require access to some or all of your data. Where any of your data is required for such a purpose, We will take all reasonable steps to ensure that your data will be handled safely, securely, and in accordance with your rights, Our obligations, and the obligations of the third party under the law. We currently work with Stressmaster International in the provision of our professional development and extended program training offerings and refer Workplace Wellness COE Certified Ambassadors to this organization. You may also wish to sign up to one or more of the preference services operating in Canada or your own country: The Telephone Preference Service (“the TPS”), the Corporate Telephone Preference Service (“the CTPS”), and the Mailing Preference Service (“the MPS”). These may help to prevent you receiving unsolicited marketing. Please note, however, that these services will not prevent you from receiving marketing communications that you have consented to receiving. You may withdraw your consent for Us to use your personal data as set out in section in 5 at any time by contacting Us using the details set out in section 15, and We will delete Your data from Our systems. However, you acknowledge this may limit Our ability to provide the best possible products, programs and services to you. You have the legal right to ask for a copy of any of your personal data held by Us (where such data is held). Please contact Us for more details at info@workplacewellnesscoe.com or using the contact details below in section 14. Certain features of Our Site depend on Cookies to function. Canada and EU Cookie Law deems these Cookies to be “strictly necessary”. These Cookies are shown below in section 12.6. Your consent will not be sought to place these Cookies. You may still block these Cookies by changing your internet browser’s settings as detailed below in section 12.10, but please be aware that Our Site may not work as intended if you do so. We have taken great care to ensure that your privacy is not at risk by allowing them. Ruzuku – this is the application we utilize to manage our product/program/service sales and membership platform. Data collected will be for the purpose of program registration, participant tracking, and certifciation purposes only in our program or service offerings. Passwords. To use certain features of our Programs, Products and Services, you may be issued a unique or group username and password, which you will receive through your registration and/or purchase process. You may have the opportunity to change your login and password. In either case, you are responsible for maintaining the confidentiality of your username, password and account information, and you are responsible for all activities (whether by you or by others) that occur under your username, password or account. St. Albert, Alberta, Canada, T8N 7C3.